Hosted in Los Angeles, California, the LA Zouk Festival is the first Zouk festival in the United States. Set on the historic Queen Mary hotel, Zoukers get to experience the living history of the famous ship, social parties in the historic ballrooms, sunrise after-parties on the Bay and maybe even a ghost sighting or two! The first and biggest Zouk competitions in the US, vetted by the Brazilian Zouk Dance Council, have shaped some of the most important Zouk careers in North America and helped to shape the future of Zouk in the US. At the Los Angeles Zouk Festival, you will find some of the best Zouk instructors, DJs, performances and social dancers in the world! With four different tracks for beginner, intermediate, advanced, and lamba focus, the festival is an experience fit to serve dancers of all kinds. Shani Mayer was born in Israel where she trained in dance and gymnastics from a young age. She had trained in Modern dance both in LA and NY and received her minor in dance performance in Los Angeles where she focused on modern, contemporary and jazz and has since been performing with many companies in Los Angeles. In 2006 she discovered Zouk Lambada in its home town of Porto Seguro and since she then decided to bring this dance to Los Angeles . She is the founder of LA Zouk, and a pioneer to bring and spread zouk to the west coast of the United States. She has been invited to teach and perform both nationally and abroad in congresses including, Brasil, Barcelona, and Switzerland and nationally D.C, Atlanta, San Francisco, San Diego, Los Angeles, Seattle, NY and congresses. She currently teaches in Los Angeles and hopes to share her passion for this amazing dance and develop a thriving Zouk scene in the West coast. Shani Mayer was born in Israel where she trained in dance and gymnastics from a young age. She has trained in Modern dance both in LA and NY and received her minor in dance performance in Los Angeles. There she focused on Modern, Contemporary and Jazz and has since been performing with many companies in Los Angeles. In 2006 she discovered Brazilian Zouk while travelling in Brazil. It was love at first sight and she decided to bring this dance to Los Angeles. She is the founder of Zouk in LA and a pioneer in bringing and spreading Zouk to the West Coast of the US. 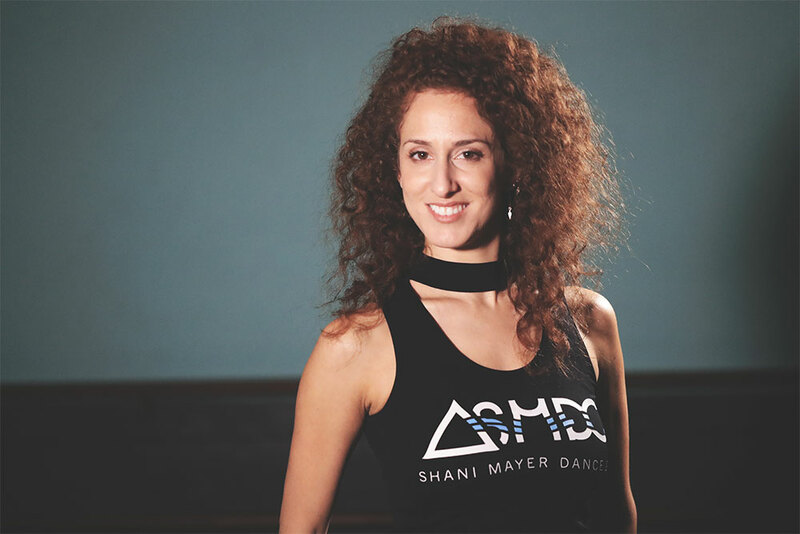 Shani travels all over the world to teach and perform and is recognized as a top international artists. She owns the Shani Meyer Dance Company which trains dancers and performance teams locally in Los Angeles.